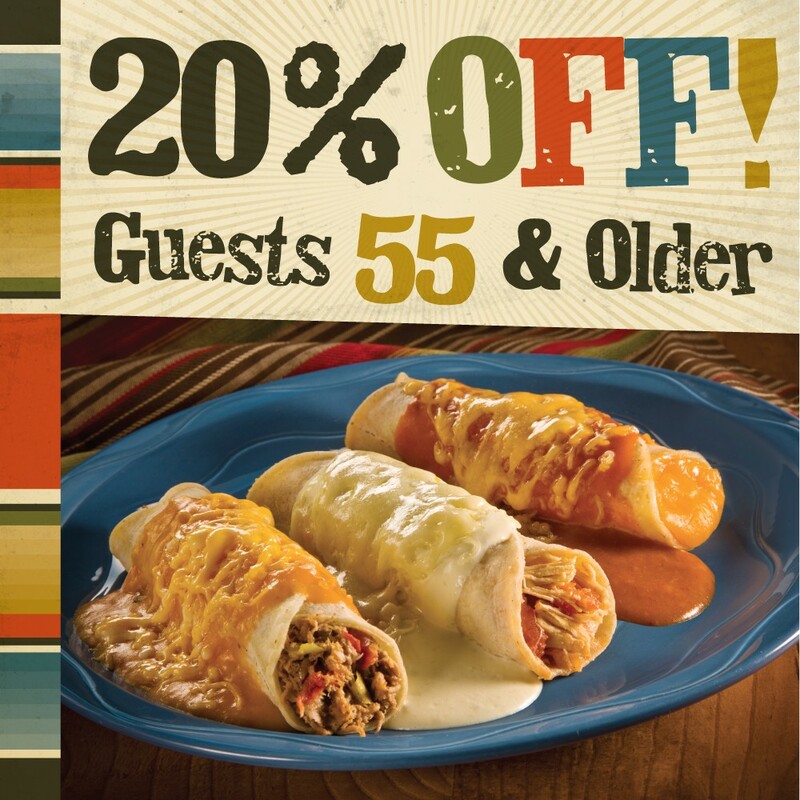 ENJOY 20% OFF YOUR BILL! Any day, any time! 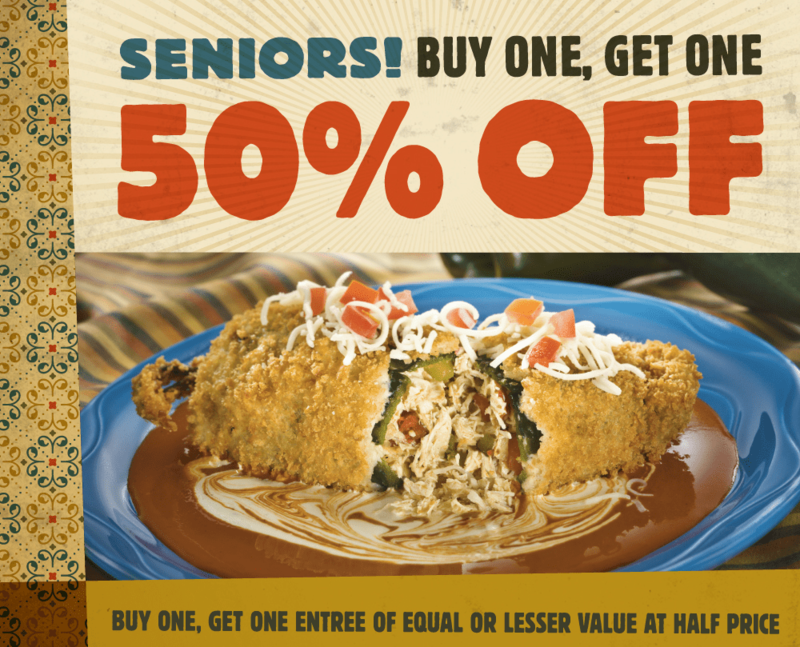 Visit any Arizona Macayo’s location to get your Senior Discount card today! Then, present card to your server at any Arizona Macayo’s restaurant to receive 20% off your bill. Valid for cardholders only. Cannot be applied to alcohol purchases. Not to be combined with any other offers or discount. No cash value.